There were four touchdowns scored in the first eight minutes of the game combined by Alcorn State and North Carolina A&T, including two kick return touchdowns. The smallest player on the field, 5-foot-6 Tarik Cohen, rushed for 295 yards and three touchdowns. The first Air Force Reserve Celebration Bowl ended with a goal line stand. North Carolina A&T won a thrilling game 41-34 in front of a network TV audience. Both conferences will pocket $1 million from a $2 million payout. A game that had been more than a decade in the making, according to MEAC Commissioner Dennis Thomas, could not have been more of a success for the SWAC, MEAC and HBCUs everywhere. “Everyone won today, all HBCUs won today,” Thomas said after the game. Even though the Georgia Dome only was filled with a little more than 35,000 fans (still more than 15 FBS bowl games played last season) and ABC failed to show the much anticipated halftime show, you couldn’t have asked for a better showcase of the HBCU product. National TV games are a three hour commercial and both schools took advantage of the spotlight. At one point during the game, Cohen was trending nationally on Twitter after many of his dynamic runs. The ABC broadcast even showed a clip of Cohen making one-handed catches while executing a backflip. There were soon discussions on social media about his future NFL prospects. 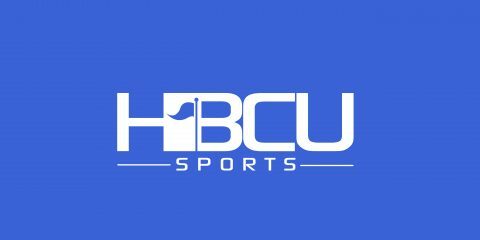 HBCUs rarely are placed in a position to be the center of the sports world like they were Saturday afternoon. That’s why the Celebration Bowl mattered so much. To introduce America to a brand of college football they hadn’t experienced before. To see a bowl game featuring a pair of black colleges in the shadow of FBS bowl season is an historic accomplishment. Not a better script could have been written for the event. It was a touchdown for all involved, said North Carolina A&T defensive back Tony McRae. “It was one of the best experiences of my life,” he said.